The stock is the best performer in the S&P 500 intraday Friday. NEW YORK ( TheStreet) -- Expedia ( EXPE was the best-performing stock in the S&P 500 on Friday morning. The S&P was falling 2.18 points, or 0.16%, to 1,397.80. Shares of Expedia on Friday rose 27.98% to $41.76. JPMorgan analysts raised Expedia's rating to neutral from underweight following Expedia's first-quarter earnings on Thursday. Their price target is $37. "Expedia reported 1Q results ahead of expectations on strong hotel bookings growth and higher air ticket volumes," JPMorgan analysts wrote in a report Friday. "We are encouraged by the sequential acceleration in room nights growth to mid single digits for the Expedia brand, which we believe was driven by early platform benefits.Following the completion of the migration, we believe Expedia is likely to see higherbookings, increasing conversions, and operating leverage in 2013. Furthermore, we areencouraged by the increased buybacks and a new authorization for 20M shares." The Internet travel company reported first-quarter adjusted net income of $36.9 million, or 26 cents a share, up from year-earlier adjusted profit of $22.8 million, or 16 cents. 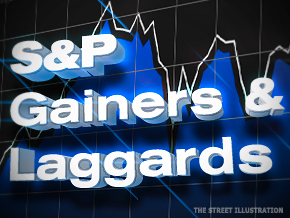 Analysts, on average, anticipated earnings of 15 cents a share. Shares of Expedia hit a 52-week high Friday of $43. The stock's 52-week low of $22.43 was set on Oct. 4. Expedia trades at an estimated price-to-earnings ratio for next year of 13.04 times; the average for tourism and travel companies is 16.88. For comparison, Priceline.com ( PCLN has a higher forward P/E of 19.23. Fifteen of the 28 analysts who cover Expedia rated it hold. Twelve analysts gave the stock a buy rating and one rated it sell. TheStreet Ratings gives Expedia a C+ grade and hold rating. The stock has risen 43.9% year to date.